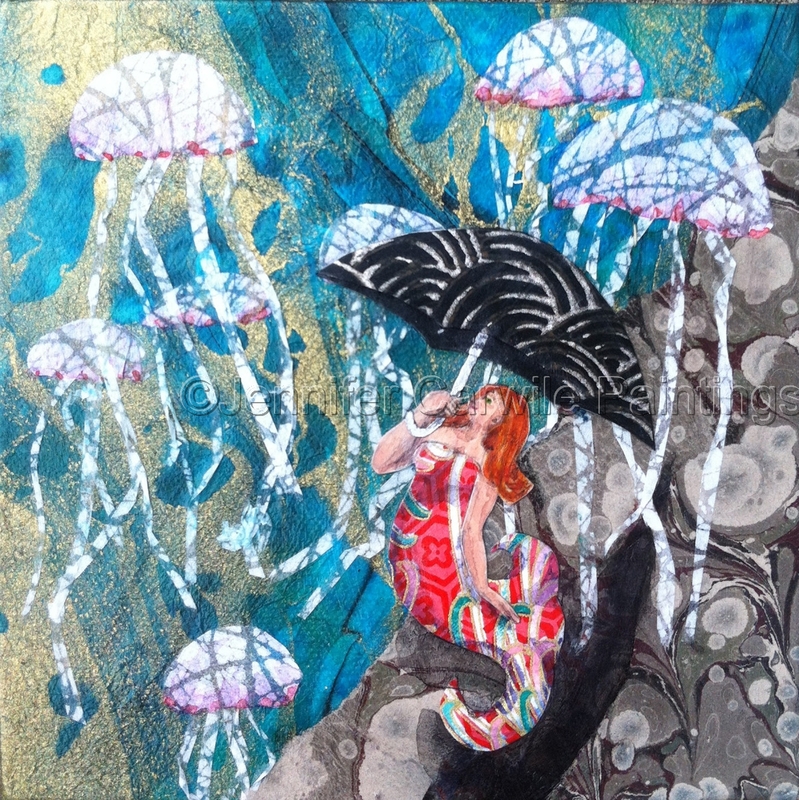 6" x 6" Collage of a Mermaid taking a stroll in a "Jellie Shower". The mixed media collage is made with Thai, Japanese, and Italian decorative papers and acrylic paint on a 1 1/2" deep canvas. 6" x 6"8" x 8"